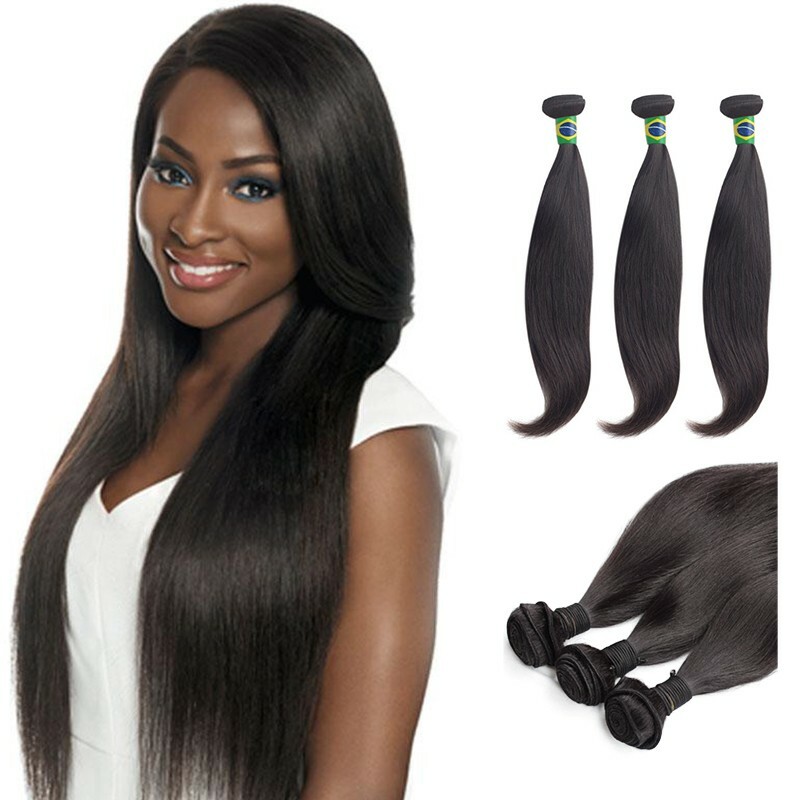 Our Virgin Brazilian Hair is quality virgin Brazilian hair on the market.All cuticles are intact and you will notice each selection of our virgin hair has a natural taper at the end . 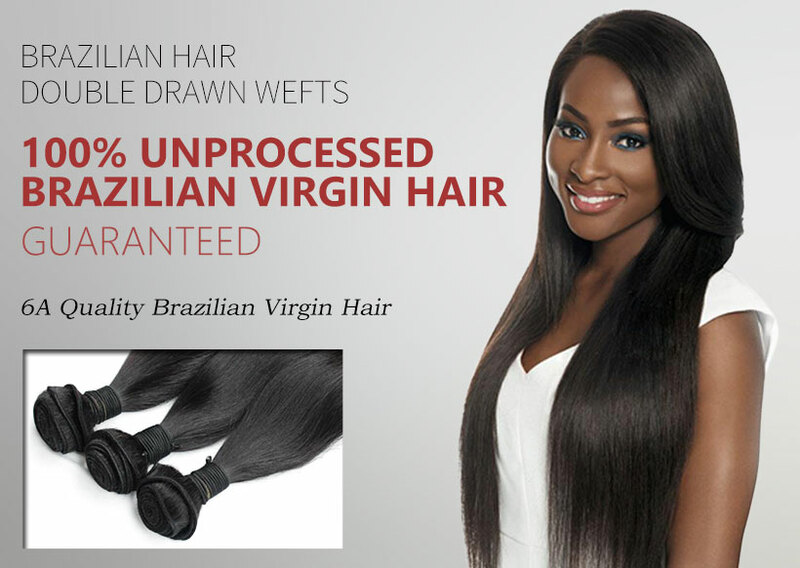 All our Virgin Brazilian hair has undergone a stringent quality assurance process to ensure it is free of the imperfections. High quality, tangle free,long last. Great extensions that don't tangle! They are very silky and soft. 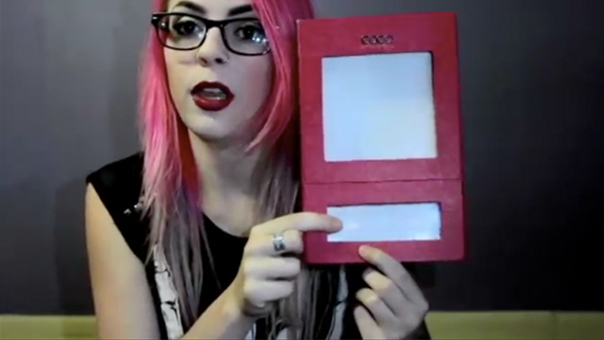 Only problem with it is they are extremely thin. Thank you so much.. I love it!!! I took it to my stylist to cut just a little off from it.. Wonderful Product!! Wonderful product at a great price. Looks good and feels light on the head. Color is just right too! I would recommend this product for anyone who wants extra length, extra body, and extra hair. 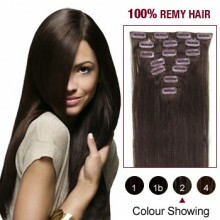 Brazilian hair is one of the most popular types of hair extensions available on the market today. Brazilian hair is one of our thicker textures and has a lot of body. Brazilian hair is than our Indian, Cambodian and Peruvian hair textures. It blends well with many different natural hair types. 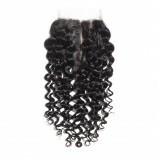 Our Brazilian Straight hair can be easily curled and styled as desired. It also naturally has more volume than Indian hair. 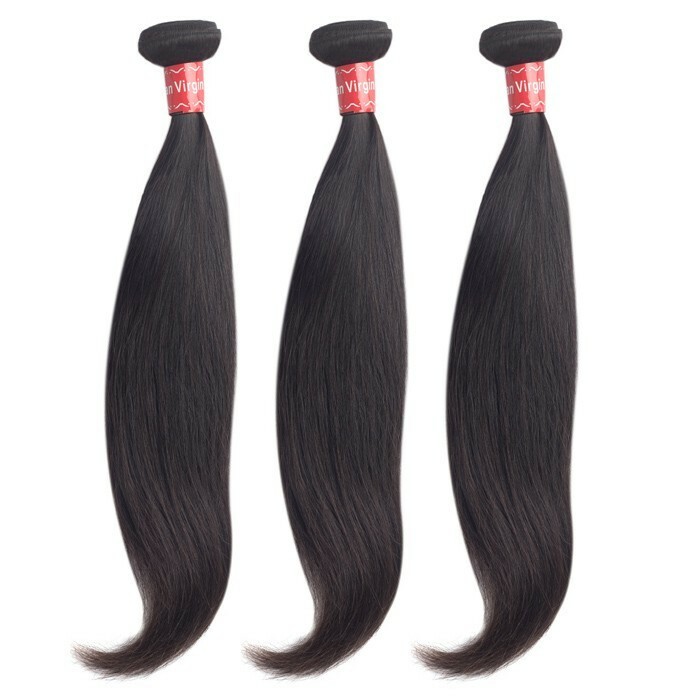 The luster of the hair is very low to medium like Malaysian hair, meaning it has a gentle sheen to it as oppose to the shine that Peruvian hair tends to have. 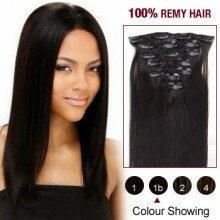 The Straight hair pattern can be easily be worn bone straight or curled to suit any hairstyle. All of our hair is 100% Virgin Remy, meaning that all of the cuticles are unidirectional. 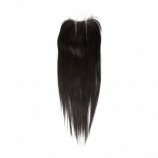 This is a critical feature of quality hair extensions because it ensures no matting or tangling. 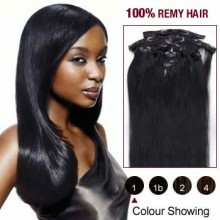 Our selection of natural virgin hair matches many hair types and is perfect for all nationalities. All of our hair offers a natural soft texture because each bundle is collected from only healthy donors. 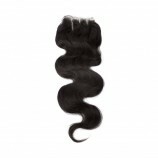 Because all of our hair is exclusive virgin quality it can be dyed and worn curly or straight. 2.Do not brush wet hair as that is when hair follicles are at their most vulnerable. 3.Use an Organic and sulfate free shampoo. Sulfate strips hair of natural oils, as there is no direct supply of nutrients from your scalp into the extension strands, its vital that you use a no sulfate shampoo to avoid drying the hair out. 4.To avoid damaging the hair extensions, the cuticles and your scalp, only wash with warm water. 5.Wash the hair gently in a downward motion with your palms, do not scrub or bunch the hair together as this will cause open cuticles to rub against each other causing friction. 6.Rinse between each wash, and wash only 1-2 times. 7.Whilst wet, add 2-3 drops of natural oil such as Almond or Coconut by gently applying it evenly over the hair, these oils will penetrate the cuticles and add moisture to hair extensions. 8.Natural oils do the work of most conditioners without the added chemicals and silicones, natural is always best. 9.Finally, lower the shower head and rinse your hair (not scalp) with cold water, this is known as an Arctic Rinse it will close the cuticles to lock the moisture and nutrients from the oil in, leaving you with nutrient rich hair extensions. 10.Let your hair air-dry at home, take 2-3 hours to wash and naturally dry your hair - Do not use heat as this will swell and dry your strands. 11.Apply a small amount of Argan, Almond or Coconut oil 2-3 times a week or when required. Argan oil is a great finishing oil for styling and frizz, however its a dry oil and does not moisturise the hair as well as Almond or Coconut. 12.For long lasting hair extensions, moisturise your hair as you do your skin, it makes perfect sense. Tips: Why do some hair extensions become dry after the first few washes? The simple answer is use of chemicals, heat and lack of moisture. We eat food to feed our bodies with nutrients which eventually makes their way through our system to feed our skin and hair. We cannot feed hair extensions in the same way so we need to use alternative methods. Use organic and no sulfate shampoo's to regularly feed, moisturise and treat your hair extensions. Remember, coloured hair goes through a chemical process, especially when lightened to blondes and special colours, this is unavoidable to achieve the colours we all desire. A little moisturising oil (we prefer Almond) each week is key. Avoid shampoo and conditioning products which use Sulfates, Isopropyl Alcohol, Formaldehyde and Propylene Glycol, these are strong chemicals which will strip the hair of natural oils and leave them dry and sometimes damaged if used for a prolonged period of time. Most sulfate shampoo's and conditioners contain silicones, this is what gives your hair or real human hair extensions that shiny glossy look once washed, if you prefer that finish there are non sulfate shampoos available which combat the sulfate cleansing elements with nutrient rich and essential oils such as L'Oreal Elvive Extraordinary Oils Nourishing Shampoo & Conditioner.